They give life and nourish us deeply. Herbalism is a sister science to Yoga and Nutrition, and the next step on the wise progression of health. When used appropriately, herbs can heal and nourish the body, calm and clear the mind, and expand our awareness and consciousness. Plants have a long relationship with humans. We use them to add flavor cooking, discourage pests, provide pleasant scents, and create wellness Some functional plants are called herbs, others are called spices, and some are called both, and they were a big part of the reason Columbus risked life and fortune to travel an unknown Ocean. Today, we work with plants both in whole form, as herbs and spices, and vibrationally as flower essences. 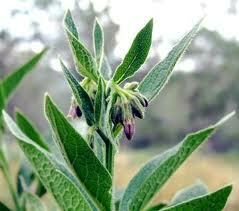 The use of plants and herbal preparations to affect wellness is the oldest form of medicine practiced by humankind. It is “the people’s medicine.” It has been used to improve many chronic health complaints as well as manage disease and injury. Today, herbal medicine provides support on the wise progression of health where some modern modalities seem to fail or have side effects that are not worth the costs. Discover how plant medicine can support your health and life, in body, mind and spirit. Flower essences are a form of homeopathic medicine and work to promote awareness of emotional, mental and spiritual imbalances. They are considered vibrational medicine and have a very powerful and long history of healing. Have you ever been out in the garden and a flower calls to you? It may be because it has some medicine for your emotions, mind or spirit. These plants are our allies and can help us in many ways if we only let them.